It’s always good to have a job when you’re coming to a new city. In case you’re still looking for one: There’re some companies that are opening to hiring those who don’t (yet) speak German like Trivago, Bayer, Henkel, Johnson & Johnson, L’Oréal, Telefónica or Vodafone. Some additonal job resources are websites like Immigrant Spirit, or for those who do speak German Monster or Step Stone. You’re a freelancer and looking for a coworking space? Consider GarageBilk, Gewächshaus Düsseldorf or Startplatz. When you’re moving to a new city you usually don’t know much about the districts. 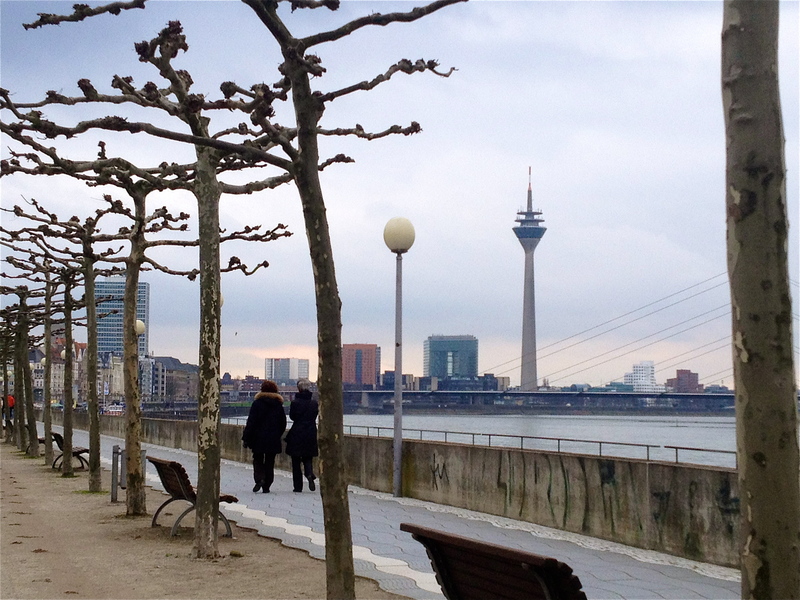 So where should you look for a new apartment or house in Düsseldorf? It depends on what you’re after. If you like to live close to the city center with good connections, and restaurants I can recommend Bilk, Carlstadt, Derendorf, Flingern Nord, Friedrichstadt, Golzheim, Pempelfort, and Unterbilk (prices vary in these areas). Also Düsseltal is not far but might be more interesting for families as it has a quieter enviroment and doesn’t have to offer as many restaurants and leisure as the other districts. Further from the center are Benrath and Kaiserswerth. Many expats prefer Kaiserswerth as it’s more picturesque, close to the Rhine, the airport, and the international school – even if Benrath does have a castle. If you prefer a more urban surrounding the Altstadt (keep in mind it’s the party area so it might get loud, crowded and dirty on many days), Flingern Süd or Oberbilk might be the perfect districts for you. Gerresheim, Grafenberg, Rath, Unterrath, and Wersten are also nice districts but outside the main city ring and therefore maybe too far from city life for some of you. It’s more or less the same for Eller, Lierenfeld and Vennhausen. If you like to live close to the Rhine or Unterbacher See you should have a look at Volmerswerth, Flehe and Unterbach. But keep in mind that at least Unterbach has not a perfect public transportation connection. All three are maybe better for couples and families than for singles. There’re also districts I personally would just partially recommend for someone. At Hafen (harbor area) are too many posh people, high prices also in restaurants with usually lower quality than at restaurants in other parts of the city. Oberkassel: Worse than the harbor, lovely area but many rich, spoiled people used to get what they want and who behave like that. I think I would be constantly annoyed if I had to live there. Heerdt, Lörick and Niederkassel: Okay, but too far from everything. Lohausen and Stockum: Too close to the airport, check the noise pollution before you sign anything. 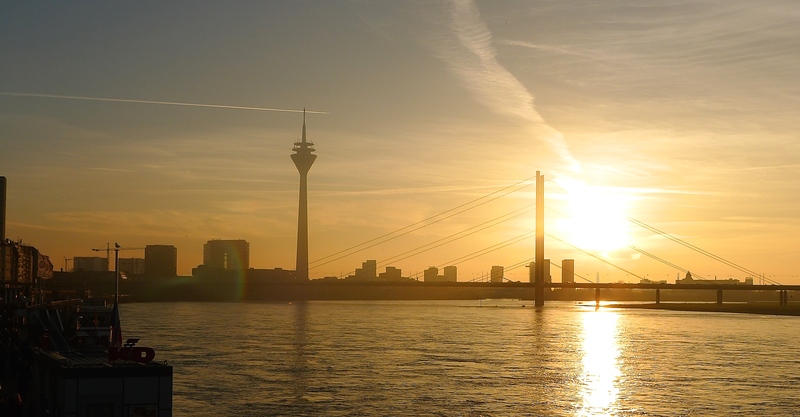 Compared to other cities in Germany Düsseldorf is fairly expensive when it comes to rent but if your coming from Cologne, Frankfurt, Hamburg, Munich or Stuttgart, you may find the rental market more reasonable – and it’s also not common yet to stand in line for flat viewing even if it can happen. You can expect an average price of 10€ per squaremeter for an unfurnished apartment, of course this amount will vary by district and building. Also, at least a small cellar is typically included in the rental price. For parking space separate charges are asked. They vary from 30€ for really cheap ones at a district located outside of the inner city area to over 100€ per month in the city center. Sometimes landlords ask for a minimum stay of one, two, in some cases also three years. They do this because they don’t want to look for new tenants every year. The good news is usually you can get out of a contract if you present new tenant that the landlord approves of (of course he doesn’t have to). It’s important to verify that the contract allows you the possibility to look for a new tenant, if it doesn’t you can ask to add such a clause. Don’t be surprised if your new home doesn’t have a kitchen or only has parts of one. That’s very common in Germany. You can buy a new one or search for a used one on Ebay Kleinanzeigen or Kalaydo. Often former tenants try to sell their kitchen to the new one. So it’s worth asking them if that option hasn’t been offered. Until a few months ago it was common that the tenant had to pay the fee for the real estate agent (which was between two to maximum three months rents). That changed insofar as now the one who placed the order to look for an apartment / tenant to the agent has to pay the fee. It’s possible to find a new home without an agent but you may find it difficult. 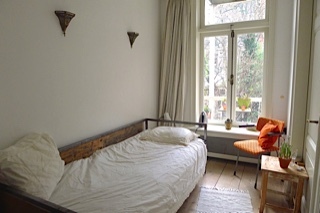 You can look for apartments on Salz & Brot, Immobilienscout24 (this site has a lot of offers by agents but you won’t have to pay a fee as a renter), as well as Immonet and Immowelt (both similar to Immobilienscout). It’s not unusual that landlords especially in cities with a more strained and expensive housing market just like Cologne, Hamburg, Munich or Düsseldorf ask for some documents – also in areas where people are not that wealthy it’s common. Typically these documents are your last (three) pay statements, or if you’re a student the pay statement of your parents, your BAföG or scholarship notice, and also a SCHUFA or another similar credit reporting. A police clearance certificate may also be requested. And please: Never pay someone to get the address of an apartment or phone number or whatever from a potential landlord. Some people try to betray tenants by telling them strange stories why they have to pay in advance when they even haven’t seen the apartment or house yet. When you sign a rental contract you usually have to pay a deposit of two or three monthly rents, which is also mentioned in the contract. You are supposed to get it back after you moved out. But just if the landlord has no complaints about the apartments condition – otherwise he’ll keep the money to fix it. He can keep the deposit for up to six month after the key handover. Because of that it’s important to inspect the apartment with the landlord both before you move in and when you move out. Write a report about the apartments existing damages which both sides of you must sign and you must have a copy for each of you. If you have any problems during or after your rental period and need help I recommend to contact the tenants association. You have to become a member but if you’re really in need of help the admission fee of 15€ and annual contribution of 66€ are worth it. You’re more into a kind of sociable living and would like to live in a shared flat (in German: Wohngemeinschaft = WG)? No problem: Usually there’re postings on the notice boards in the University, University of Applied Sciences , Kunstakademie and Robert Schumann Hochschule. You can also look on websites like WG gesucht, Studenten WG or WG finden. In case you’re moving to or from Düsseldorf within Germany (and speak German) I can recommend Umzüge Hinsberger. I’ve used this moving company twice now (I also recommended it to one of my colleagues for her private move who was so pleased with them that the company of her husband hired them, too). They’re reliable and have friendly and qualified employees, who were kind throughout the moving process. Also, they offer a fair price, which is determined at a pre-move meeting at your apartment before any contract is signed. An alternative: I also know a lot of people who are very satisfied with Sägewerk a moving company from Düsseldorf. If you’d like the moving company to dismantle a kitchen, bed, or a wardrobe or even install lamps make sure and ask them during the pre-move meetings so they can include it in the price. A friend of mine recommended two other companies for people who don’t speak German that good yet: Employees at Piraten Umzüge (also do moves within Europe) are very patient when you try to speak German. Lot Jonn! Umzüge also correspond in English – and does movings in Europe or overseas. Keep in mind that it’s the usual way to pay cash directly after the move. You will get a bill but you can’t use it for the tax office. If you need a proof for them talk to the company. Then you have to transfer the money in advance as you will need the transfer document for the tax office. There’re a few furniture shops around Düsseldorf where you can find most of the stuff you might need. Ikea, Schaffrath which is not that huge but in the middle of the city which sometimes really is an advantage, Möbel Höffner in Neuss, Fischer’s Lagerhaus in Gerresheim, Möbel Flamme in Unterbach, Ostermann in Haan, and Möbel Hardeck in Hilden (Hardi is the cheap shop of this store right on the other side of its parking lot). SB-Möbel Boss in Hilden is another store where you can buy cheap furniture. Remember that deliveries from cities outside of Düsseldorf just like Hilden or Haan are always more expensive. Ikea delivers too but you can also rent a van there (might be cheaper at rental companies like Sixt, Hertz or Arndt). If you’re able to cope with used furniture visit Kaufhof Wertvoll in Unterbilk, or Fairhaus in Flingern. You can search for furnishing on websites like Ebay Kleinanzeigen and Kalaydo, too. Of course! But this is enough for now. I’ll continue posts about public transportation, daily life – such as supermarkets, doctors, craftsmen, pet sitters, and so on.